The hidden building in the back of South Campus is the Chappell Child Development Cetner (CCDC). Contrary to popular belief you do not have to be a student at FSCJ to enroll your child. 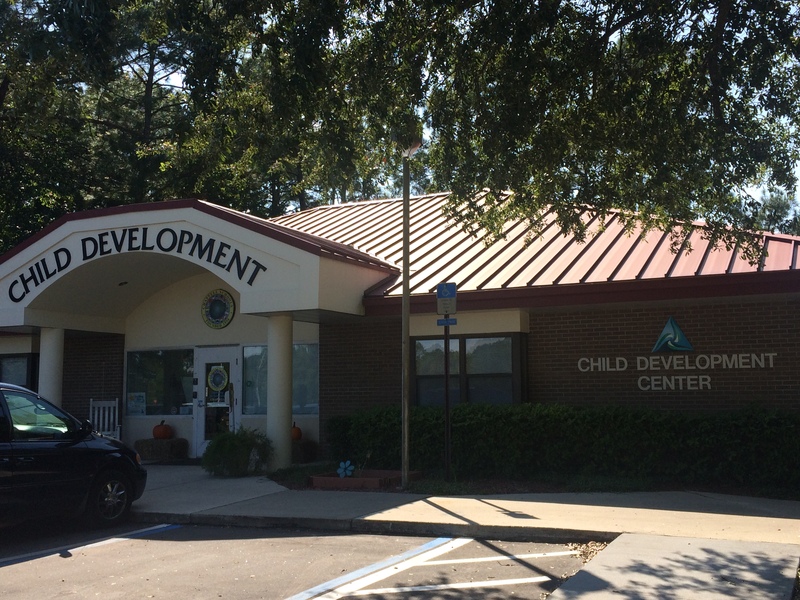 The CCDC is open to the public, and accepts ages one through five and has seven other centers located around Jacksonville. “If another center was at capacity, our center at Beach Boulevard has availability for children,” says Victoria Gailyard, the director of the South Campus CCDC. She says the capacity is 104 children, but right now they currently have 70 children enrolled. The center is open from 6:45 a.m. to 6:00 p.m. Monday through Friday. Children often spend long days at CCDC, so the program includes breakfast, lunch, and snacks. Foods served includes cereal, yogurt, eggs, pancakes, sandwiches, fresh fruit, and juices or milk. “Kids that didn’t quite meet the requirement for VPK,” says Gailyard. Education includes basic etiquette, and art and music history. A Fine Dining program is offered that consists of periodic lunches with proper table settings where social graces are practiced. The children are exposed to the art of etiquette and the proper manners, preparing themselves for their future social gatherings. The “Teddy Bear Tea” gathering where there is a tea party where children can invite their parents or grandparents, and of course bring a teddy bear. As far as music and art history, all of the classes or developmental areas are named after famous artists, and music history is taught with a focus on the classical period. The CCDC prioritizes opening their doors to families whenever possible. They welcome students as old as ten-years-old during spring, winter, and summer breaks. FSCJ students are given a discount when enrolling their children. Ten week summer camps are filled with activities, field trips, and crafts. The CCDC offers an eco-friendly, green environment, and certified as an eco-healthy provider. The children participate in an organic gardening project gowing fruits and vegetables that they eat for lunch. The Chappell Child Development Centers have a lot to offer for FSCJ’s youngest students.